Eyeshadow is my favourite thing when it comes to makeup so I thought it would be nice to do an eyeshadow look inspired by something to do with Halloween. I have created a pumpkin inspired look and a witch inspired look. I didn’t want to do anything too crazy as I wanted these looks to be wearable looks for either work or university, something that isnt too crazy but shows you are still living for the halloween vibes. I just want to throw it out there, my brows needed threading, but a girls got to do what a girls got to do. 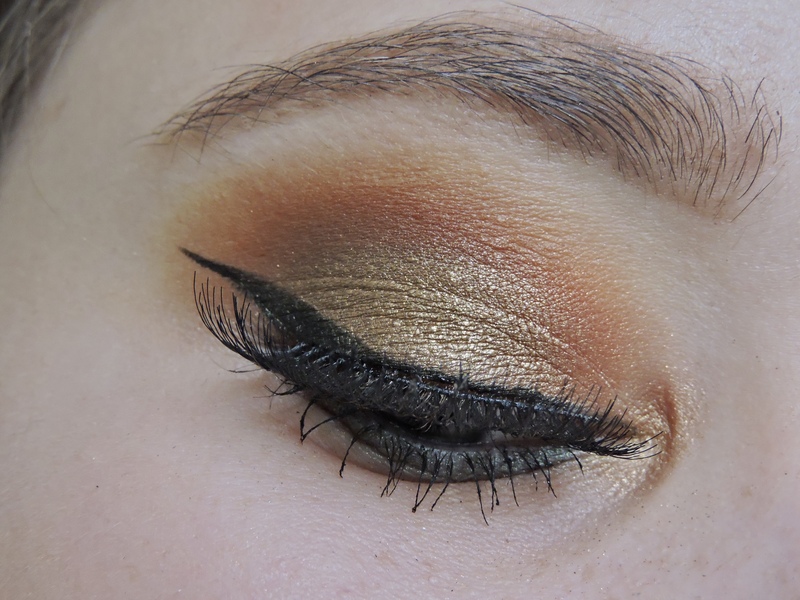 For this eye look I am using the Morphe X Jaclyn Hill palette. You can use any palette you like with the same sort of colours. I am using the Real Techniques Eye Brush Set, I have a post dedicated to this brush set if you want to check it out, click here. I am using Primark Sultry lashes as these lashes are my go to lashes and I am using Kiss eyelash glue. First of all, you need to prime your eyes. This is a step you can miss if you don’t have a primer ( you can always use concealer ) I find that primer really keeps my eyeshadow on all day, who wouldn’t want that? I am using the Urban Decay Eyeshadow Primer Potion. Then taking a yellowy colour, you are going to run this all over the lid. 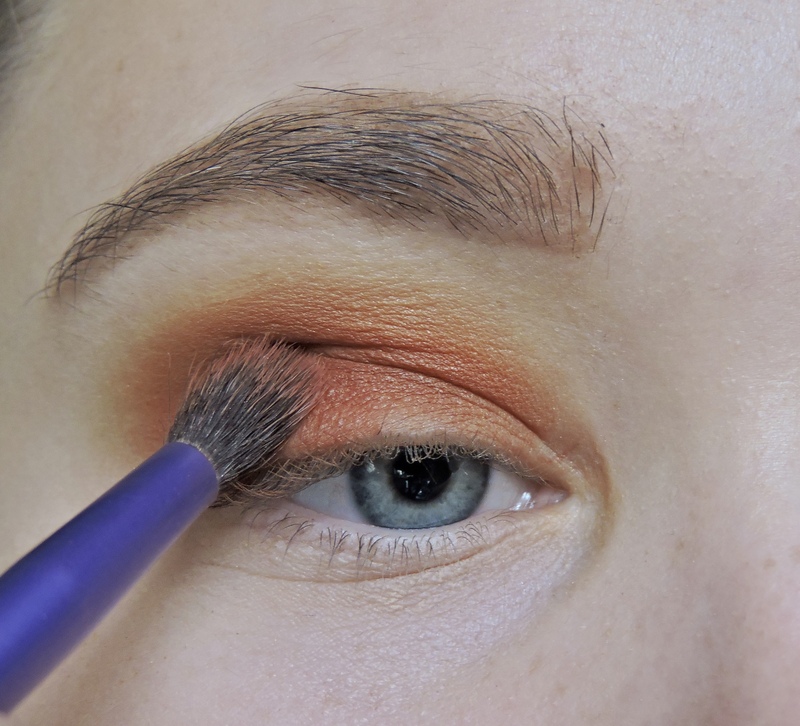 I am using the shade Creamsicle from the Morphe X Jaclyn Hill palette and am using the medium shadow brush. Bring the colour up towards the brows as this is going to be the highest colour upwards, you are going to build all of your colours on top of this. Take an orange colour and run this all over the eye aswell but don’t blend it all the way up with the yellow colour. You want it to sit underneath so it goes from yellow to orange. I am using the essential crease brush and am using the shade Hunts. If you do blend the orange colour to high up then you can always go back in with the yellow colour and blend it more upwards. Take a black colour, if you don’t have a black then you could use a dark brown. I am using the shade Abyss and am using an essential crease brush. 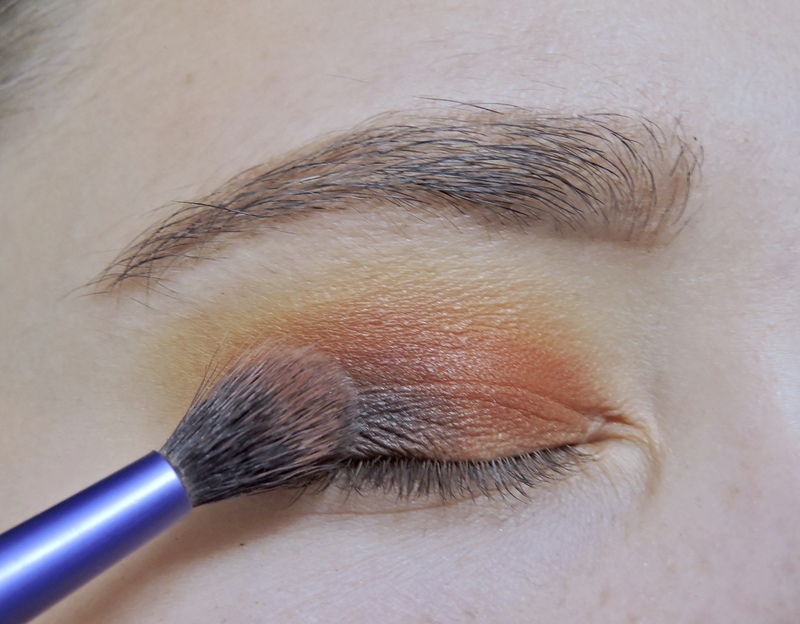 Place the colour on the outer corner of your eyes and blend only halfway onto your lid, you don’t want to run this colour all over your lid like the last two colours. 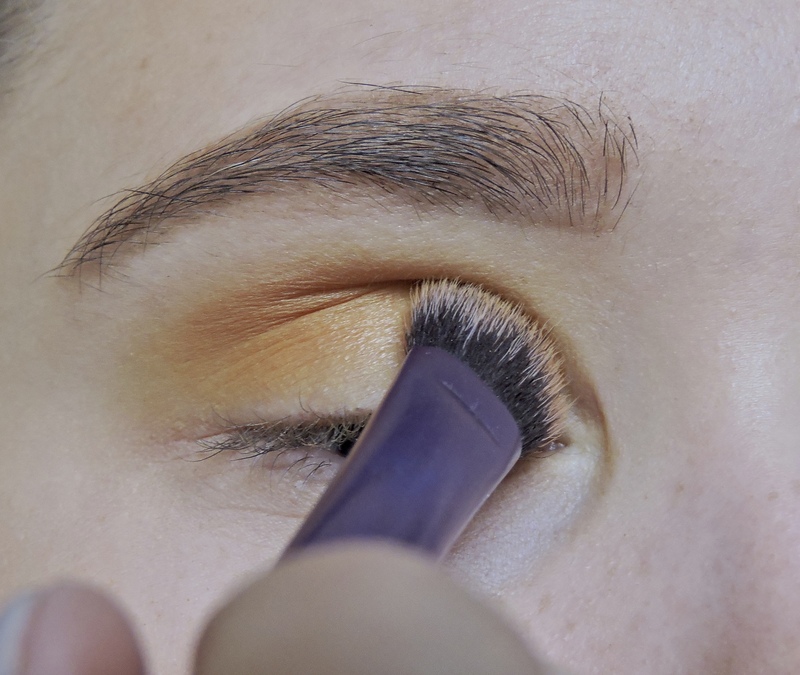 Blend towards the outer corner. Take a golden glitter colour, I am using the colour Queen and am using a shading brush and just place this over the lid. You can use concealer first and then apply the glitter shadow, but this glitter doesn’t need concealer as it is really pigmented. You can also spray your brush with fix plus if it needs it, but again this colour didn’t need it. If the colour you have is like a chunky glitter then spray your brush with fix plus and pat it onto the lid rather than blending it onto the lid. This will help fall out. After this, take a green colour. 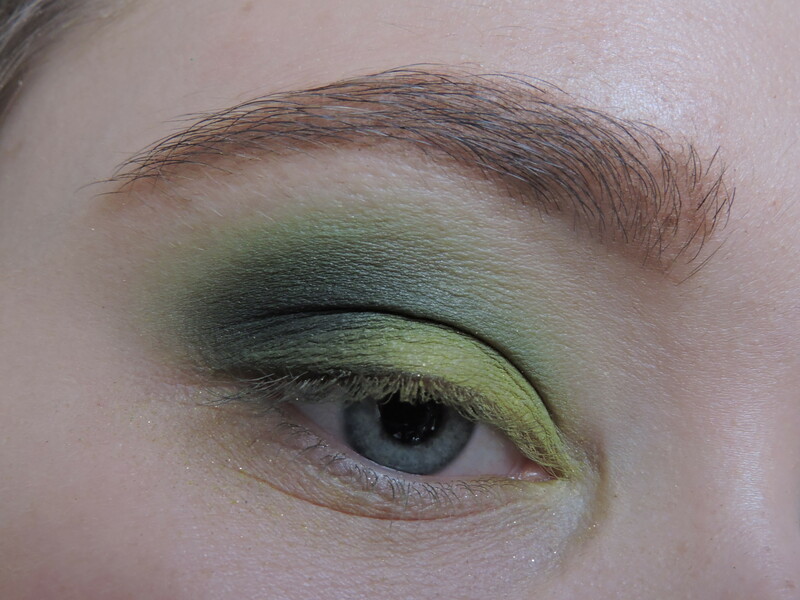 I am using the shade Enchanted and am just using an Urban Decay eyeshadow brush (the brushes that come in the Naked palettes, the thin end) and running this green colour on the lower lash line. Add the same glitter colour to your inner corners. Take a black liner and put this on the waterline. 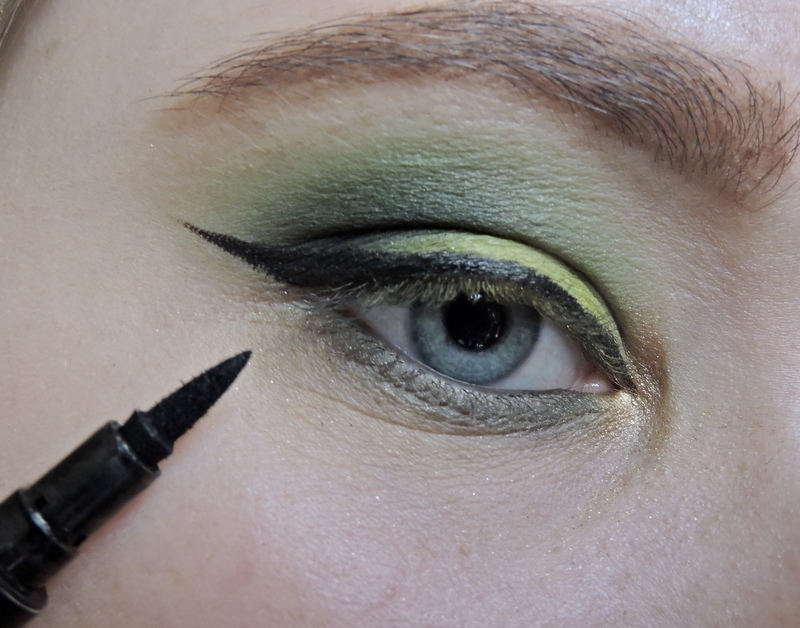 Then do a winged eyeliner and bring the liner into the corners of your eyes. This was one of my first attempts doing winged eyeliner (it doesn’t suit my eyes) and it went pretty well. Then put some mascara on your top lashes only, I forgot to put mascara on first here. 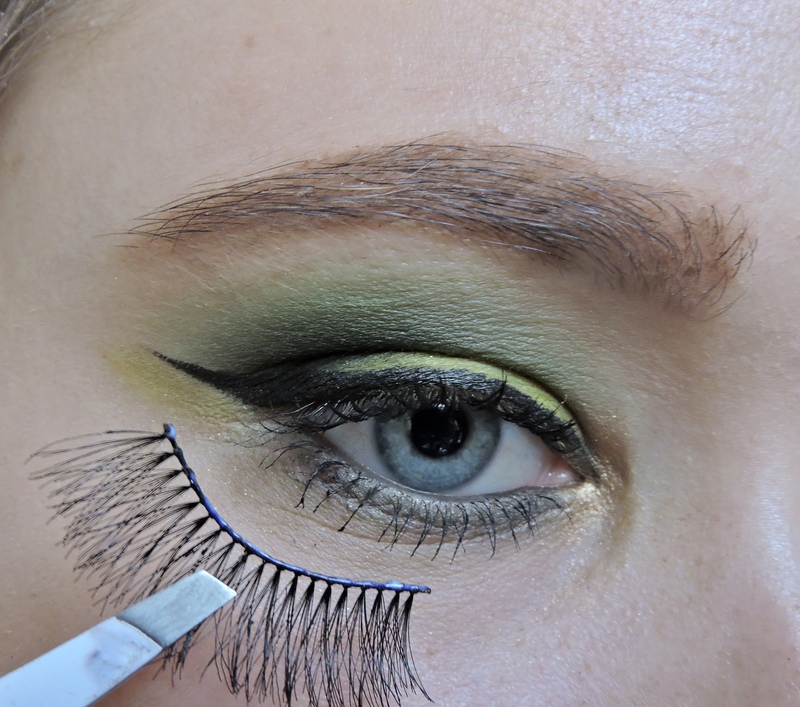 Grab some of your favourite false lashes and put them on. Ok here is where I put my mascara on. I normally put it on before but I completely forgot. It doesn’t really matter but before always works better for me. 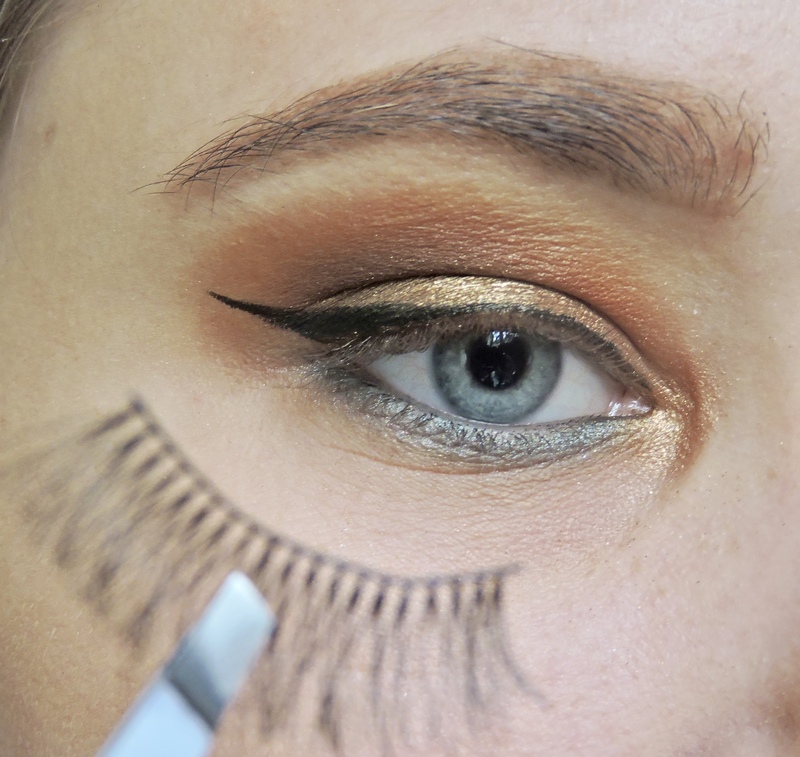 Using tweezers or eyelash curlers pinch your real lashes and the falsies together, this will stick your real lashes to the fake ones and make them look more natural. If you aren’t used to putting lashes on then leave your bottom lashes for mascara and do it after your lashes are on. Then add the bottom mascara, doing the bottom mascara last is good because it wont get messy when you are trying to do your lashes. The last thing you want is for your mascara to start running. It’s just mess that can be avoided. This is the finished eye look. 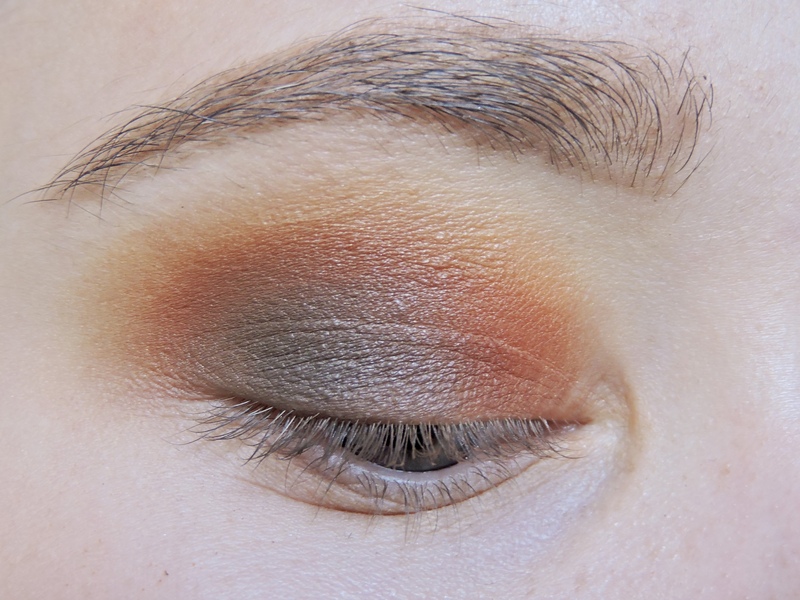 For this eye look I am using a mixture of the Morphe X Jaclyn Hill palette and the Nyx Ultimate Bright eyeshadow palette. I am also using Primark Sultry lashes as I have been using these for years and out of all of ones I have tried, I love these the most. I am also using Kiss eyelash glue as it is the bomb!! I am using the Real Techniques eye brush set. 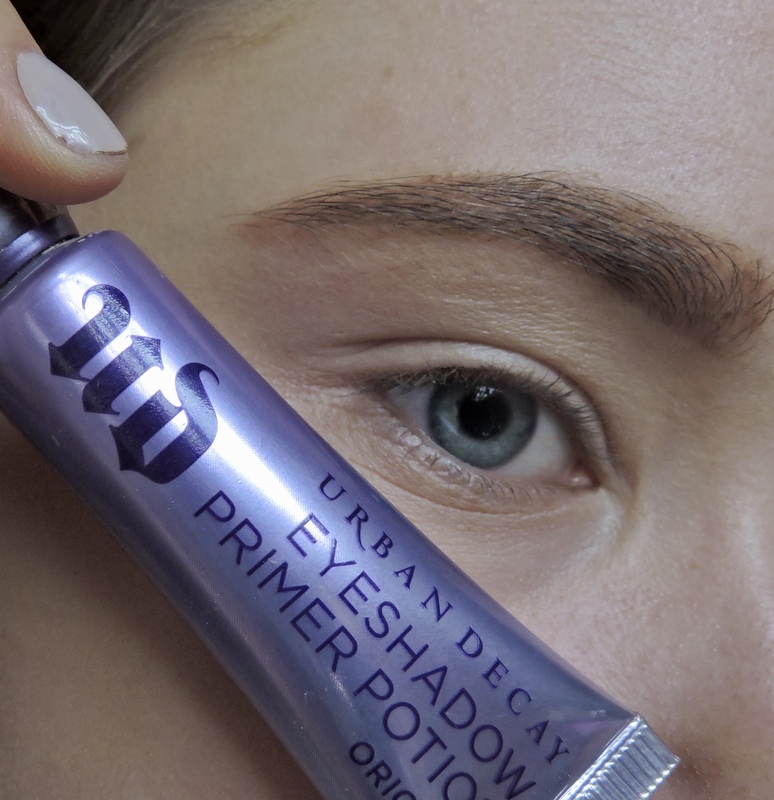 Prime your eyes, I am using the Urban Decay Eyeshadow Primer Potion, best eyeshadow primer I have used!!! 1000% recommend. 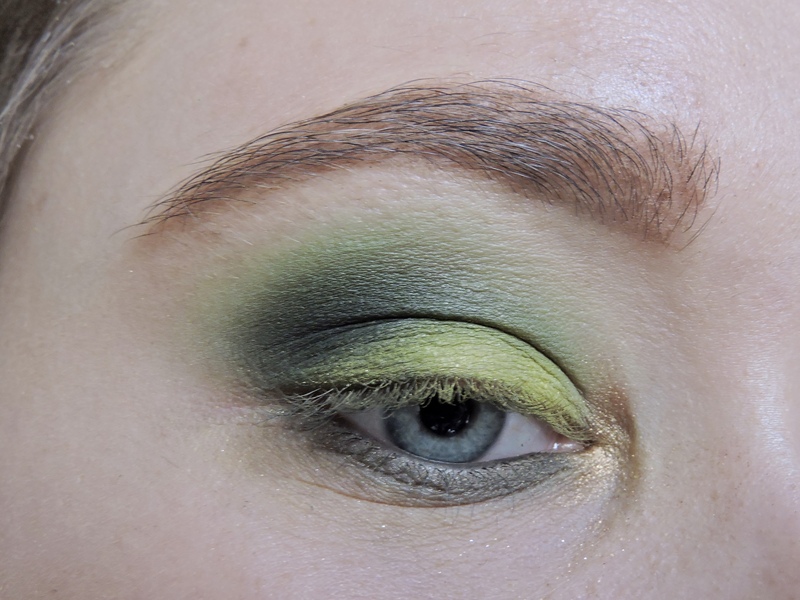 Taking a green eyeshadow colour, I am using the green shade in the left bottom colour of the Nyx bright palette. Run this colour all over the lid and blend it upwards. Then take a black I am using the one from the Morphe x Jaclyn palette called Abyss and I am going to place this in the outer corner of my eyes. 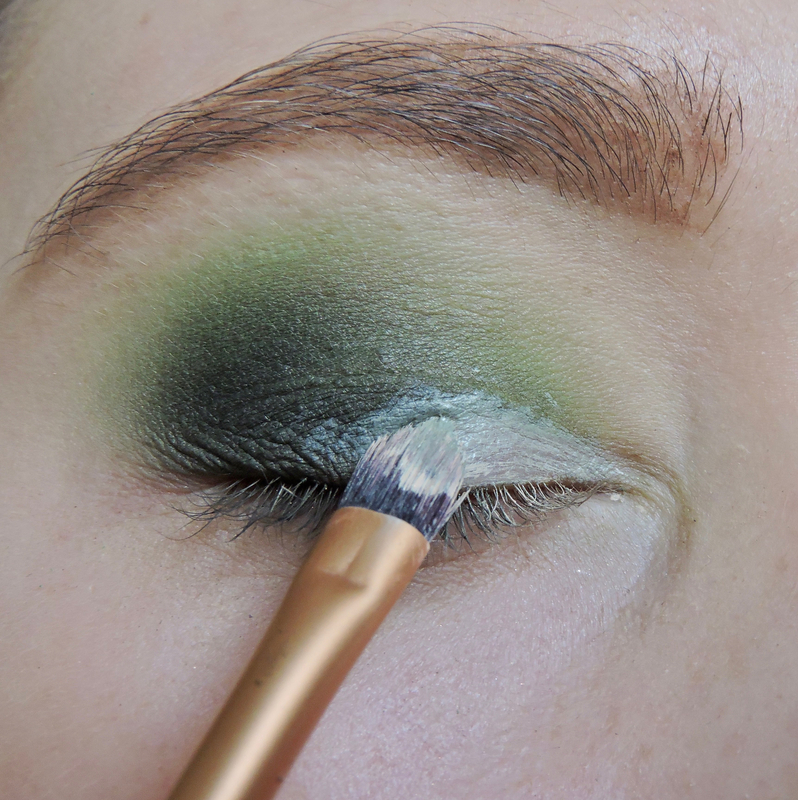 While blending this colour, drag the colour towards the inner corner of your eyes. Dont add more shadow onto your brush because you dont want it to be too harsh. 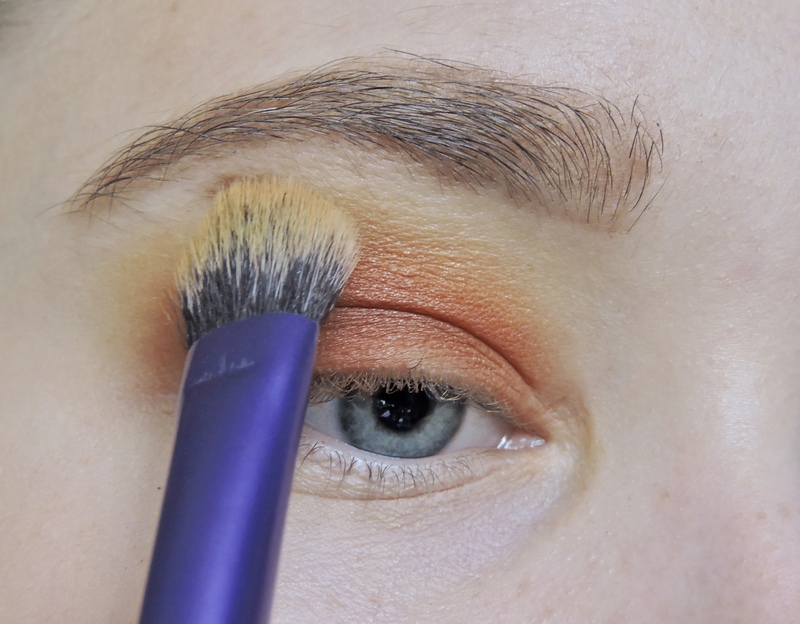 Then using the Pointed Foundation Brush from Real Techniques, get some concealer and put this on your eyes. Start from the inner corner and work your way towards the centre of the eye. Don’t place the concealer all over your lid just do it only halfway. Try and keep it as neat as possible. I am using the Collection lasting perfection concealer. 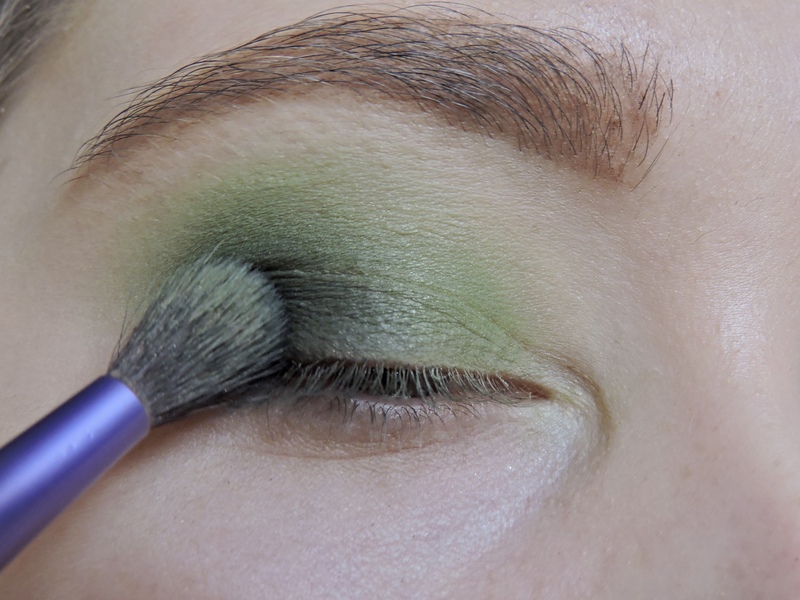 Then taking the Shading Brush and the lighter green shade in the Nyx palette (the shade next to the first green colour used) and place this over where you put down the concealer. Just dab this on. 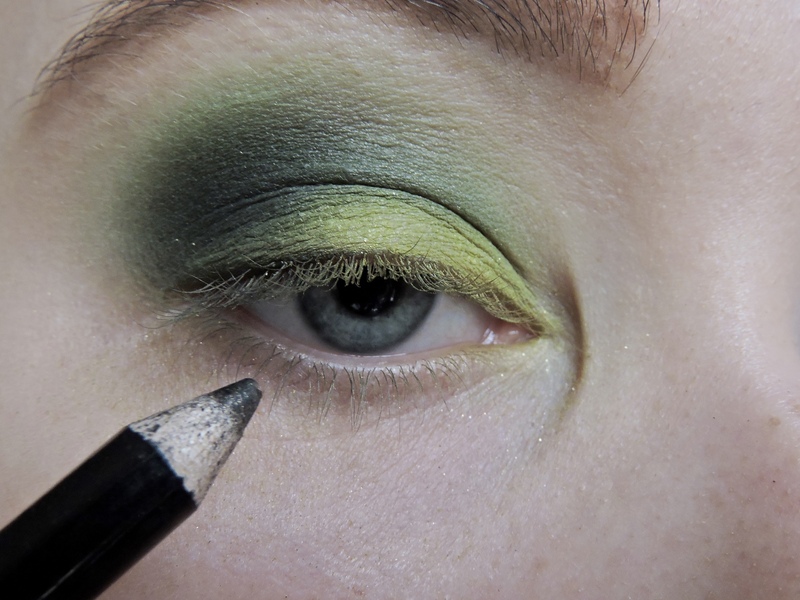 Once the colour is on, then go between the first green colour and the black and blend the newly added lighter green colour on the outer corner. Take a black liner and run this along your waterline. 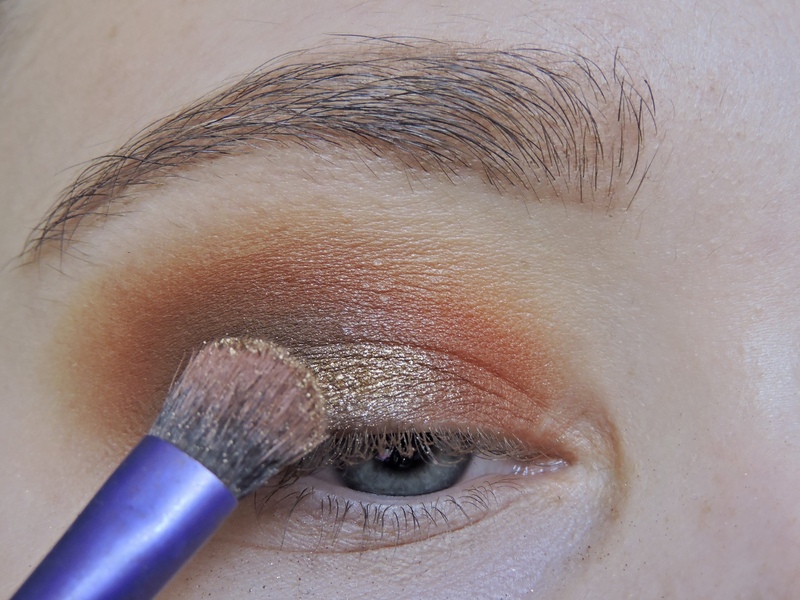 Then taking a gold glitter colour, I am using the shade Queen from the Morphe X Jaclyn palette and place it in the inner corner of the eyes. 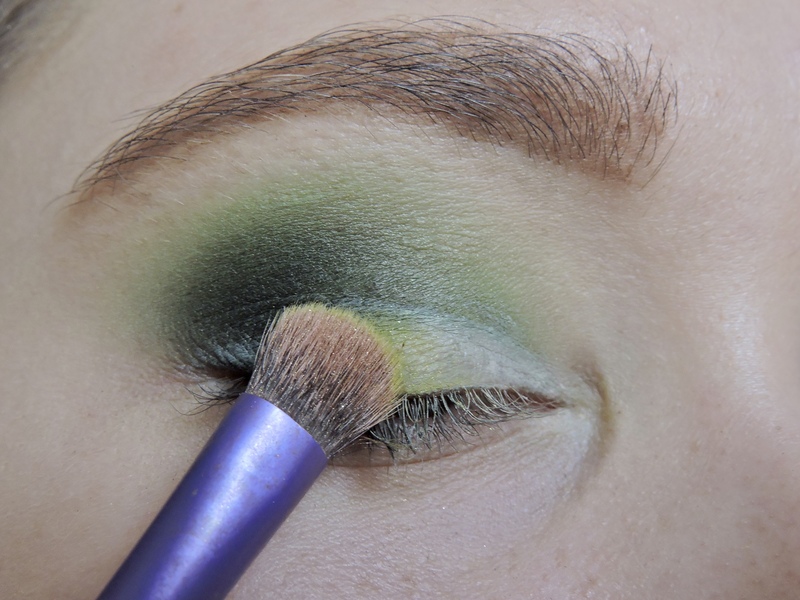 Then run a dark green colour on the lower lash line, I am using the shade Enchanted again from the Morphe palette, you could use the first green colour you stated with. 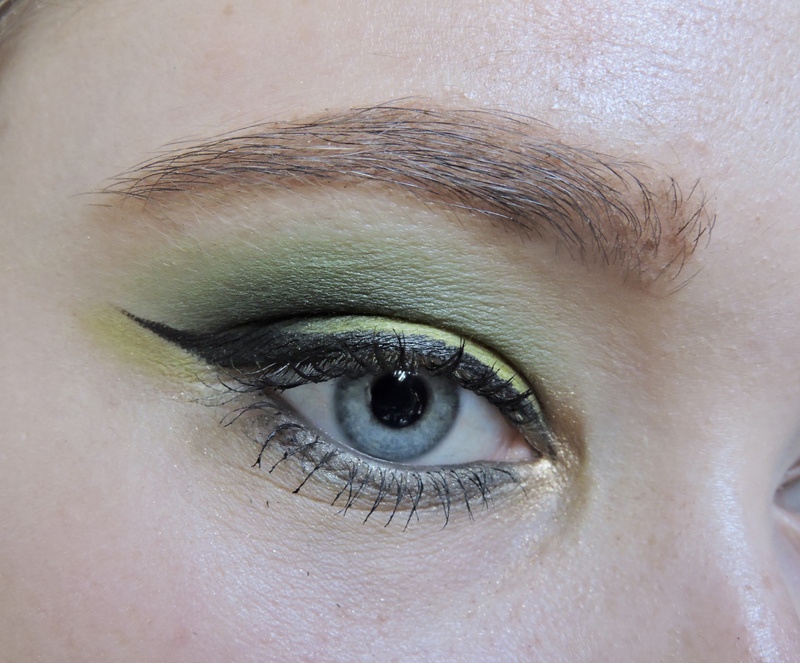 Do a winged eyeliner, the wing can be as big as you like it to be. 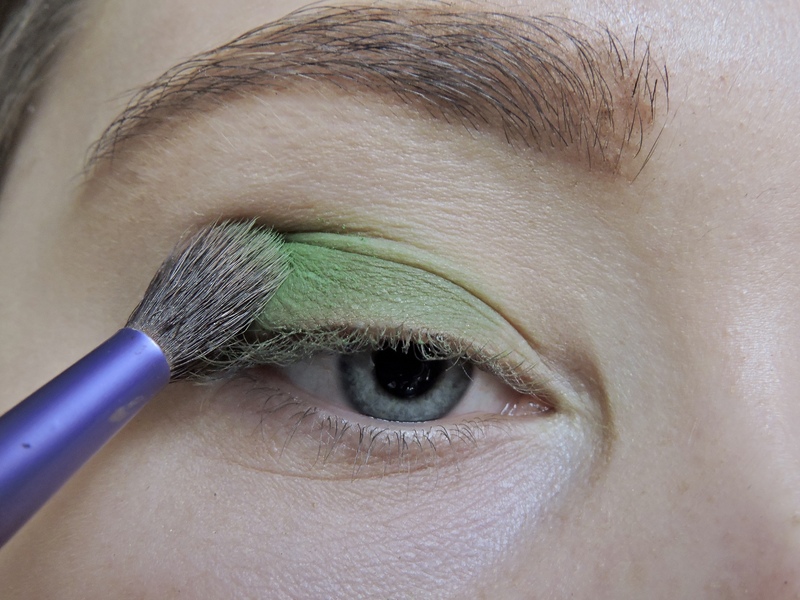 Using the second lighter green colour you used, place a bit of colour infront of the liner. Then put some mascara on and grab some lashes. Then you are done. 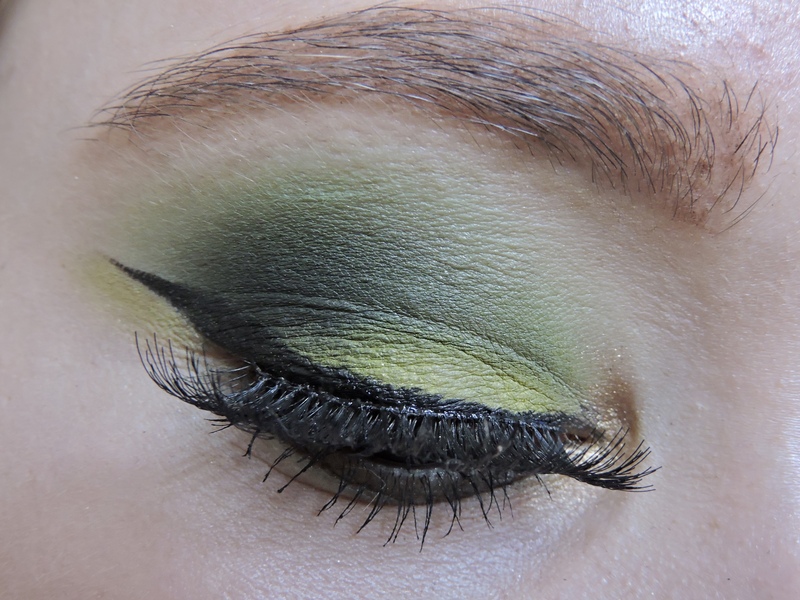 I hope you liked these subtle Halloween inspired eyeshadow looks. Which one was your favourite? I love both of your eyeshadow looks! Your eyeliner is enviable as well! Definitely need to invest in a Morphe X Jaclyn palette because I’ve heard so much good stuff about it! Sorry I just checked my spam comments and your comment was sent straight to my spam again, which is annoying. So sorry for the late reply! Thank you! that was my first time doing winged liner too. OMG IT IS AMAZING, YES YOU DO!! I love these looks and the pictorial! I love the first orange look. I know the green wouldn’t suit me at all but you can pull both of them off! Love it! 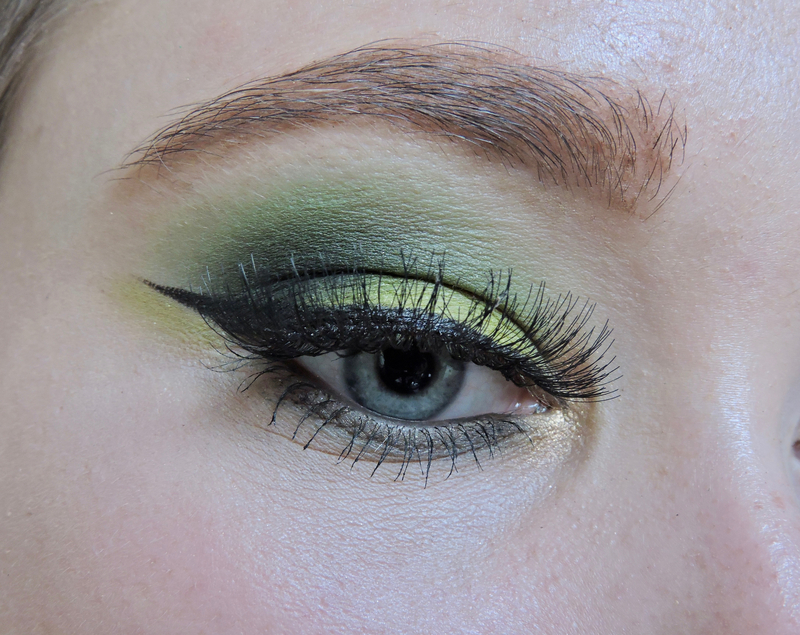 The green shadows are sooooo halloweeny! Oooh loving the pops of green! I love the green look! 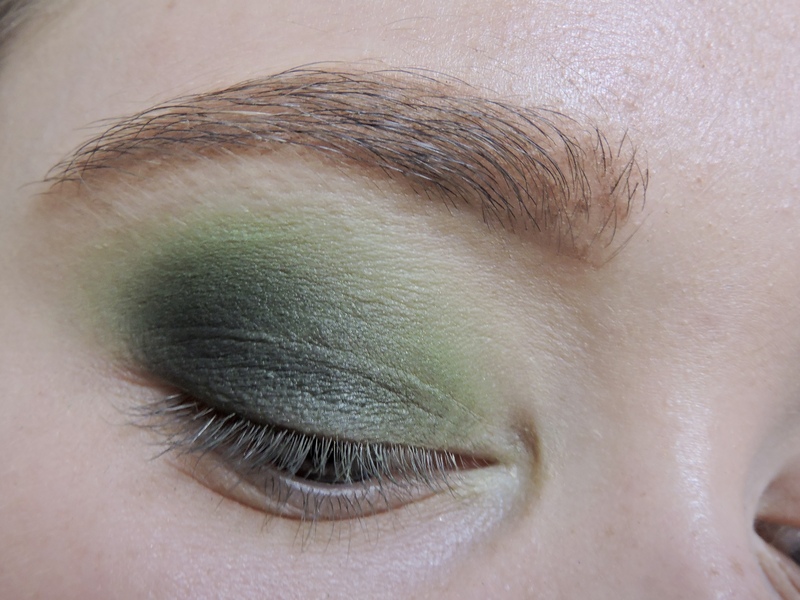 I’ve never really experimented with eyeshadows much but this has made me want to start trying! Two gorgeous looks. I wish I could get my eyeliner to look as good as yours here!